I'm sitting here in my running clothes, and even though they are sweat free, it still counts for something, right? Today it's going to be an easy run with my girls. The hubs might even join us if he gets home before the girls get too stir crazy. Now, since this is the second time I am writing the post because when I tried to spell check the last one, Blogger went all crazy and sent my post into Internet outer space, I am not as motivated to recap every detail of yesterday's 10 mile long run AGAIN. So here are the highlights. I had a two hour window to run in between dropping both girls off and picking my Bean up from pre-school. It was the perfect amount of time to run the 10 miles on my schedule for this week's long run. After heading out the door, I ran back inside for a jacket because it was overcast every direction I looked. Glad I did. Instead of being too hot, I stayed dry while it rained off and on my entire run. The first few miles were tough. My legs were tired. I thought about using the rain as an excuse to head home and finish on Millie. But I sucked it up and was glad I did. I enjoyed the rain keeping me cool and being outside. I can run inside on Millie whenever I want. Running outside (and in the rain) is a treat! 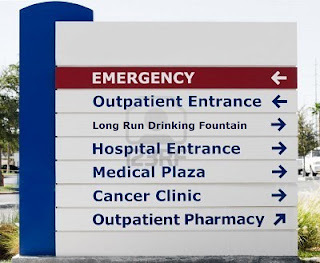 I was really thirsty about halfway through the run, so I finally dashed across the hospital parking lot into the main entry and found a drinking fountain just inside the lobby. It will definitely be one of my regular detours on future runs! With the tired legs to start and a killer hill up to the temple, I figured I had gone pretty slow. I couldn't see my pace or time the entire run because my jacket sleeve is too tight to pull up over my Garmin, so I only knew when I had finished each mile because of the alert beeps. So when I got home a few minutes before I expected, I was pleasantly surprised. Ten miles in 1:34:48, a 9:28 pace. I'll take it. Up the hill by the temple.....so awesome. Great 10 miler...I like the rain too, as long as the wind stays away. Good job on not listening to the dark side of the force! I have my moments when I'm running hills (part of my long, hard marathon training program)because I hate running hills. period. I do it just for the sake of doing it. But after finishing, I can't deny the fact that it feels good. I feel glad that I don't listen that much to that little voice inside my head. I love to run under the rain too. And I also love the routes when we can find drinking fountain. Or "shower fountain" in summer. I''l be the hospital has toilets too. Now I'm wishing I had one of those on my routes. It's an all-service pit stop. Great run! Very impressive time! I love your comments! They make my day, so be sure to let me know you stopped by. And I always try to respond to your comments, so let me know if you have any questions for me or if there is anything you want to see on here! Me outdoorsy? Yep, I guess I am.